This past Sunday, February 16, I ran in the Ft. Lauderdale A1A half marathon with Team HASC, the same team Daniella came to support last year when the marathon was in LA. Many of us were Camp HASC counselors, as was Daniella a few years prior. During seudah shelishit, Daniella’s friend, Esther, spoke to us about Daniella and what a wonderful person she was. She said Daniella was an amazing counselor at Camp HASC, as “she did not only just fulfill the campers exact needs, but she would make that extra effort to really make it the best summer for her campers that she possibly could.” Although I was not zoche to meet Daniella, the way in which her friend described her was so inspiring. I learned so much about her incredible neshama just from that speech, and I know her memory will always be for a blessing. Some ideals to strive for. Many of them reached by Daniella on a daily basis. Daniella was my mother’s student for three years at YULA. They were very close especially after Daniella graduated. Daniella would call and come by often. But my relationship with Daniella began when I was 10 years old, the summer of 2009, when she came over to help my mother with my brother’s Bar mitzvah invitations (as she always did chessed). We started shmoozing and I decided that I really liked her. She was lively, fun,understanding and caring. She told me she would take me out to coffee bean so we could have another talk. We went out, and I couldn’t help but share all my thoughts, feelings and worries. I felt like she was my new big sister and best friend! She made it seem like I had an equal amount to offer in our “friendship”. She took me to her parents house so I could “help her” make dinner. She took me for walks and talks which were an important part of my “tween” years. I loved when she would come with Noam on Shabbos afternoon. There was always a special feeling in the room when they were there together. I love her and miss her very much. I don’t know how I will go on. I’m 14 and my life is changed forever. I keep a picture of her in my desk at school. My life is not complete without her here and will never ever be. I met Daniella about a year ago when I moved into the same apartment building as her, immediately she came up to me and introduced herself i was like wow she’s so friendly..and i wish i can say from there we became best friends..we didn’t. There was just too little time. Daniella always had a huge smile on her face i just wish i can take a step back and made the time to get closer to her. This past sukot i think it was, i needed to light for chag and didn’t have a candle so i went to to borrow one she was so kind and gave me one. But the next night of chag 2 minutes before lighting i hear a knock at my door and its Daniella checking to see if i needed a light. 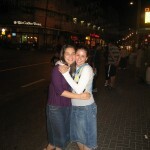 I met Daniella at Sharei Tefilah about five years ago after I had just moved to Los Angeles. I was so shy and never spoke to anyone when I would go to shul on Shabbos. The first Shabbos I saw Daniella, she came right up to me and introduced herself and invited me to sit with her and her friends. She introduced me to other girls at the shul and even asked what I was doing for lunch. She made me feel so welcomed. As time went on, she always remembered my name and pretty much anything I ever told her about myself. Her smile always made me feel happy and comfortable, like I belonged although I was still new to the community. She was a very special woman, one of a kind. I will never forget her kindness. It’s still a shock that Daniella is no longer here, and the truth is I can’t understand why she had to go so soon. I suppose if she were still here, and I had the chance to ask her why someone like her leaves the world so early, leaves a beloved family, she would find a way to impart to me with some of her unwavering emunah. 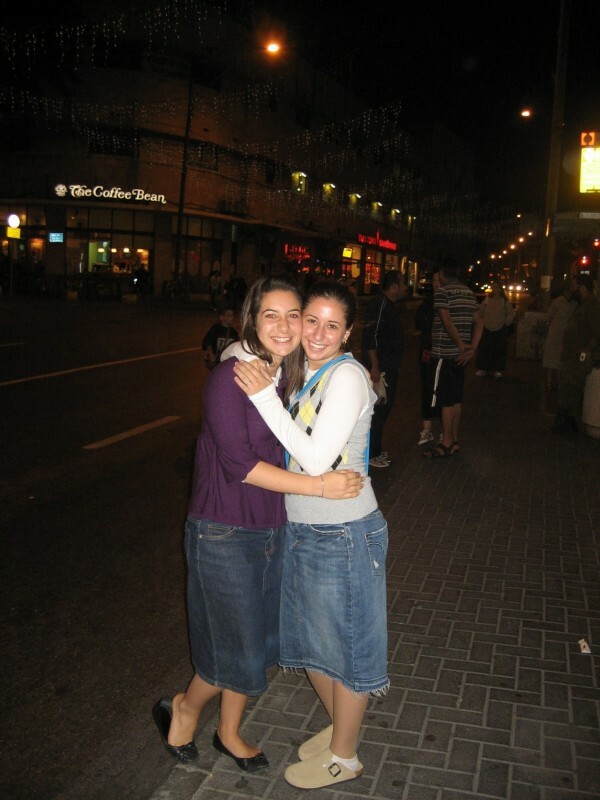 We were at YULA together, and many of my memories of her are of a bright, happy, cheerful girl who was constantly alight, and so sincerely committed to Judaism that her love of Torah and Hashem was evident in everything aspect of her life. I remember we did a project together in Freshmen English, and she offered her house for us to film it. Of the group of four of us, she was the positive one, the one who made us laugh, who kept the peace, smoothed things over when issues came up. When we were in high school I saw her at NCSY shabbatons consistently, singing, talking to anyone and everyone, making people feel welcomed, and always, always with a smile on her face. Recently I saw her on a shabbaton again, both of us as advisors, and she with her husband and baby. I remember how she greeted me with a smile, seemed genuinely happy to see me and catch up with me even though we were never very close, and also that I left her with a smile on my face. I suppose now we can only hope that our memory of her buoyant emunah will help us get through this challenging time. You will be missed, Daniella. I am good friends with Daniella’s sister Rachel. Any story I ever heard about Daniella rang of commitment to yiddishkeit. I remember Rachel mentioning to me that Daniella had gone to shul on Yom Kippur, just a few weeks after giving birth to Gavriel. I was in awe and felt a tremendous amount of respect for her, especially since I stayed home with my kids! Daniella has been a powerful source of inspiration to me over the past few days. She has inspired me to work on my relationship with others and on my connection to Hashem. Any mitzvah I do is in her zechus. Thank you Daniella.